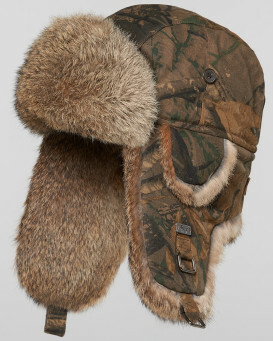 This Mad Bomber® hat features a durable cotton exterior with real rabbit fur trim. 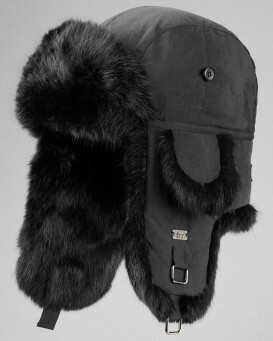 The genuine rabbit fur ear flaps can be worn down for extra warmth or neatly folded up and attached at the top with a buckle snap closure. 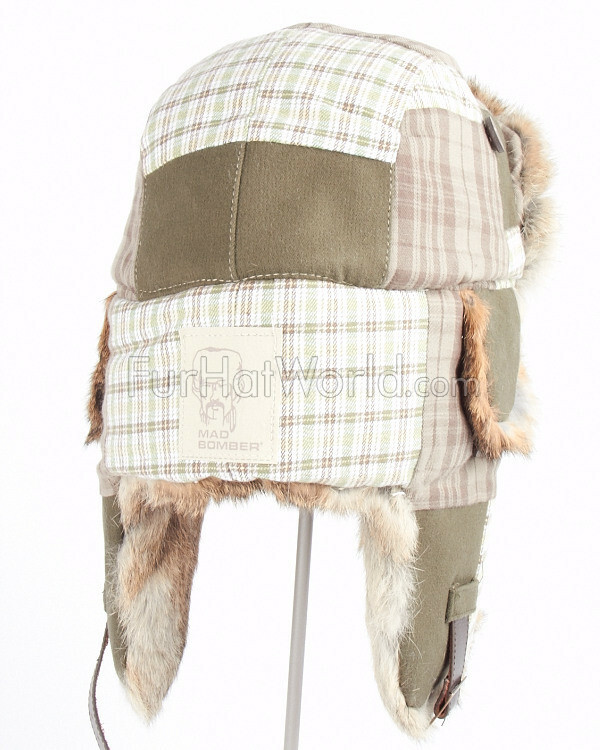 The inside of the hat is fully lined with soft quilted lining for added insulation and comfort. 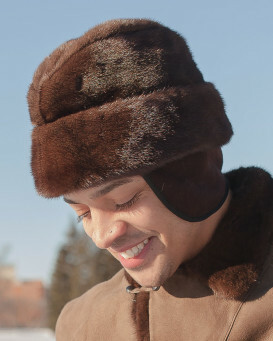 "Patchwork & fur hat came to me in a timely manner and I am very pleased with the look, quality, & fit of the hat!!???? 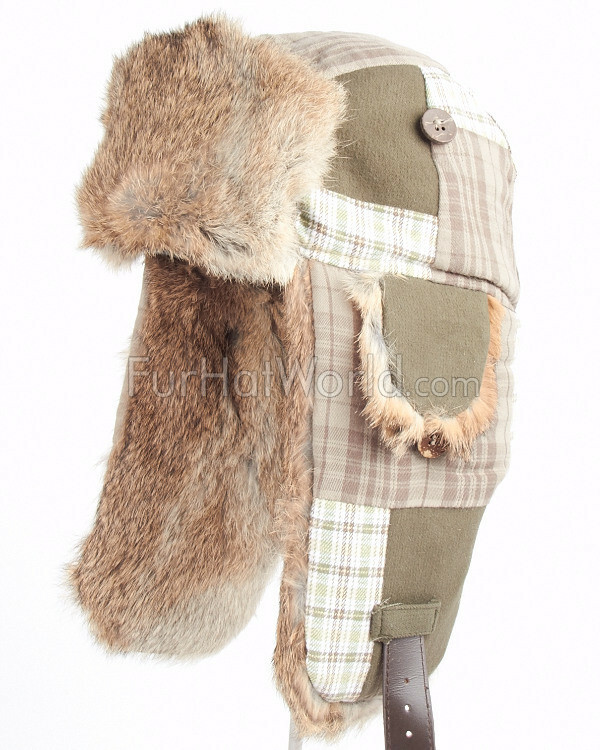 Will definitely order again for other products.."
"Beautiful hat. Impressed with the quality. Only thing is I ordered a large be Gee is the size chart. It fit great upon arrival and I wore it for a full day last weekend after receiving it and it almost feels like it stretched or the filling really “broke” in and is to big now. Also I found my eyes were reacting a bit to the fur but that’s not to blame the company, it might just be a mild allergy I have. 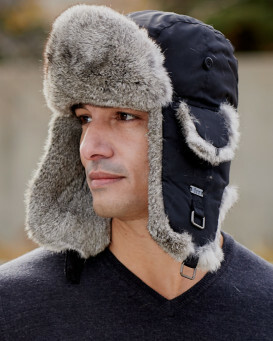 Won’t stop me from wearing it as it was extremely warm. I’m just sad it’s a bit to big now is all." "Hat was just as advertised. Showed up in less than a week and fit perfect. Excellent." "Okay in my previous review I commented on the cheap chin strap buckle, well it hasn't got any better over time and the leather material that the chin strap is made of is so cheap that it starting to fall apart on the edges in chunks. 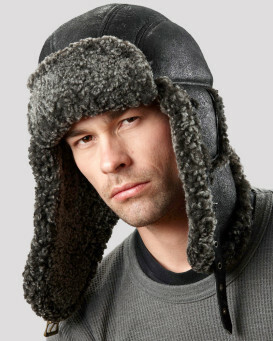 I love the look and feel of the hat with the exception of the chin strap and buckle that I am going to have replaced." "Wonderful product. Looks and feels fabulous. Super fast delivery from Canada to our little island off of the South Coast of England. Thank you very much. Would recommend and shop here again." 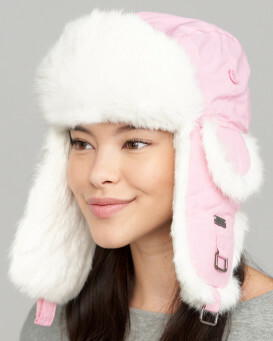 "The look and color pattern of the hat is what made me decide that I had to buy it. I wear the hat everywhere and get some funny looks, but that's because people in my area don't typically wear hats like that. I don't have any complaints about the order process or service. 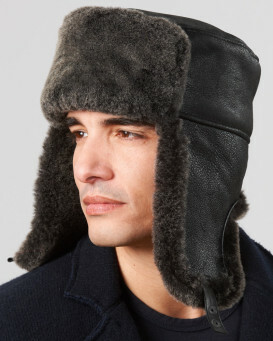 My only complaint with the hat is the cheap chin strap buckle. I thought it may get easier after using it about 20 times but that's not the case." 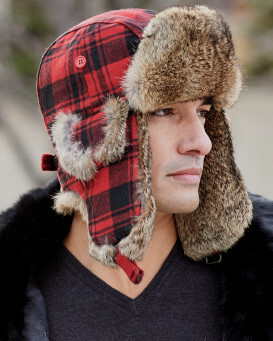 "Great fit , quality and oh so warm . 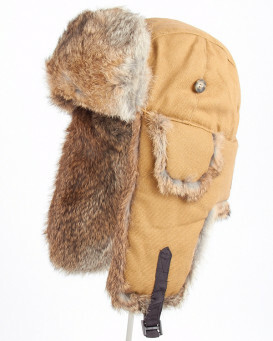 Love my Mad Bomber"
"Ordered the Mad Bomber hat for a Christmas gift. I ordered it about a week before Christmas. Selected standard shipping. 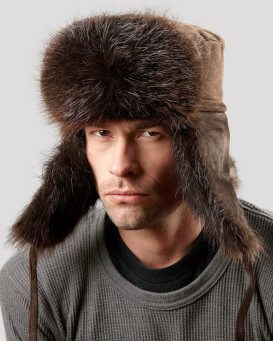 The folks at Fur Hat World called to let me know that it would be tight. That they can get it out in time, but can't promise what the shipping company can deliver. I decided to chance it. I received the order 2 days before Christmas. My brother-in-law loved the hat. very warm - exactly what he wanted."